When Hotjar launched, success was anything but guaranteed. They were completely unknown, didn’t have a cent of outside funding, and were facing some well-known competitors. Four years later, they’ve gone from €0 to €15 million in Annual Recurring Revenue and Hotjar has been installed on over 670,000 sites. A huge factor in reaching this level of growth has been a strong belief that whoever gets closer to the customer wins. 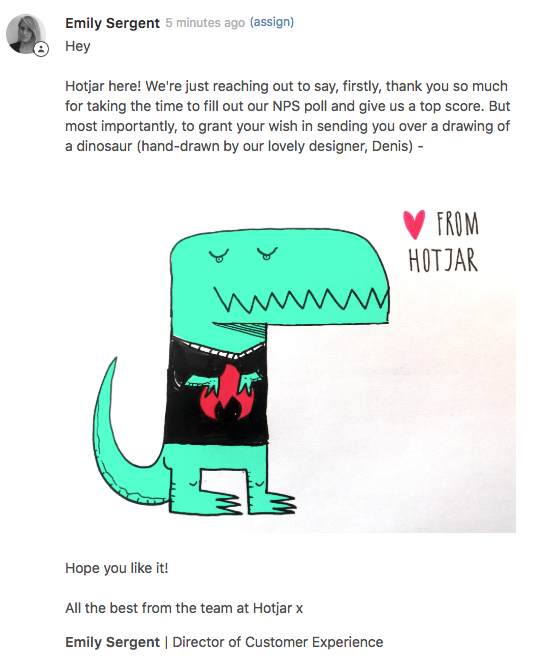 This article shows the exact methods they use to stay in touch with their customers year-round at Hotjar, and how they use that feedback to constantly improve their user experience. 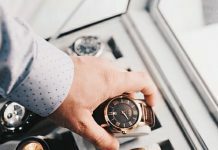 Note: even though they are a Software-as-a-Service (SaaS) company, the techniques covered in this post are highly applicable to e-commerce and lead generation businesses. Obsessing about the users is what drives everything at Hotjar. The Proactive touchpoints are where they go out of their way to find out how their users are doing early on in their experience with Hotjar and discover what they could be doing better. The Reactive touchpoints are triggered by a specific interaction with them, such as a support ticket or when someone downgrades their account. On Demand is how they give their users the opportunity to reach out at any point in their experience with us. This article will be focusing on the Proactive touchpoints. Reactive and On Demand will come in Part 2. This is the moment when the credit card is still in their hand and the experience is as fresh as possible. It helps us uncover direct insights for improving the experience. And since their customer just converted, these responses are as qualified as you can get. And, most powerfully, they use Hotjar to then view recordings of people who had a bad experience. Watching session recordings of users who rated having a negative experience is one of the ultimate forms of customer empathy. Customer Effort Score (CES) measures how much effort it took to complete a task on a scale of 1-5 or 1-7. 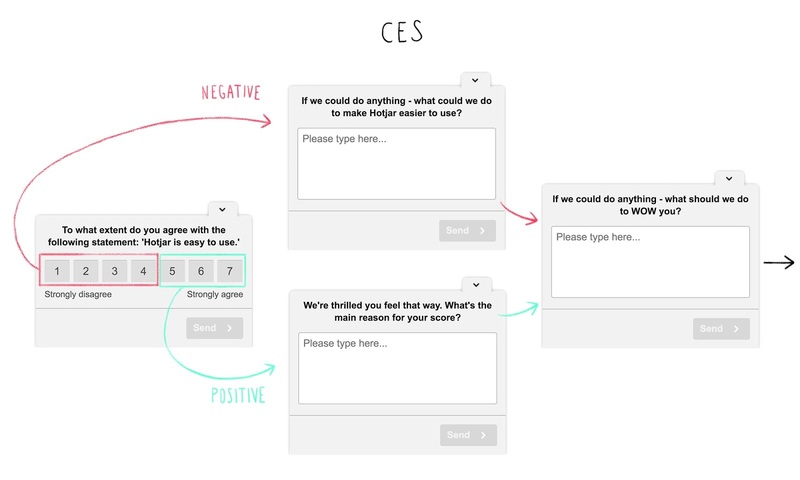 CES is often used to measure support interactions, but they use it slightly differently at Hotjar. The poll is set to only show up just once, regardless of whether they answer or not. At one point, they did notice a trend across lower CES scores that caught their attention. It turned out that quite a number of their customers were complaining about their experience with Hotjar’s Recordings. So their product team started having 1-on-1 interviews with these customers. That helped their team map out the experience a typical customer might have while using Recordings. Based on the interviews, they added better filtering and segmentation of their users’ recordings as a direct result – all thanks to the responses from their CES survey. After their customers already converted, have been onboarded, and are starting to use the product more and more, they dive deeper into the experience using an NPS® survey. It’s a great way to keep a pulse on what their customers love about Hotjar and what needs to be improved. The goal with NPS is to learn, will their customers actually recommend us? And if not, what’s holding them back? 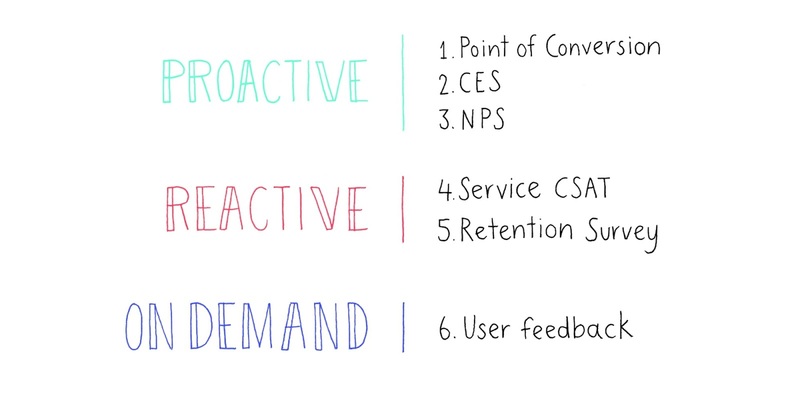 They do keep track of the score over time, but the most valuable part of NPS isn’t the score. It’s the responses they get to the follow-up questions. That’s where they learn what expectations people have of Hotjar that they aren’t meeting and how they can improve them. That kind of feedback is absolute gold for building a customer-centric product. How do they analyze all the responses they get? Since all of these surveys contain several open-ended questions, they generate a lot of answers that they need to go through. So how do they analyze all those replies? (Well, by Excel to be more accurate). They see manually going through every response as just part of the process of getting as close to their customers as possible. It’s not something they would ever recommend automating or outsourcing. 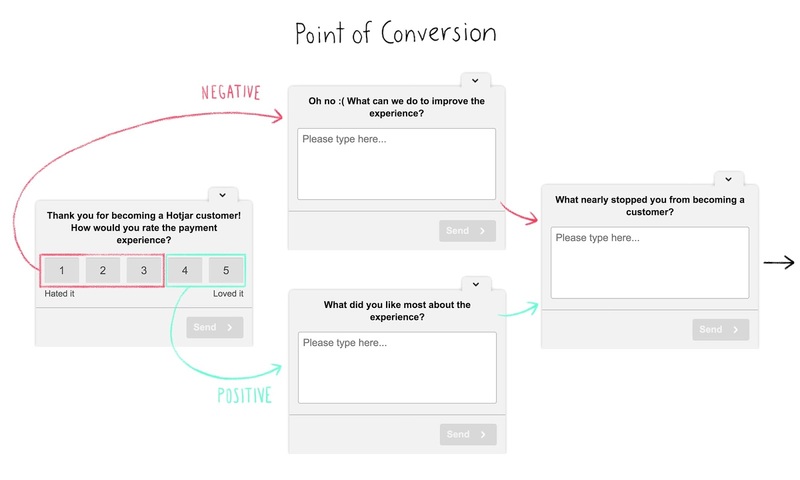 Part 2 covers the Reactive (triggered by a specific interaction) and On-Demand (where their users reach out at any point in their experience with us) touch points. PS. A long time ago, I used many different tools to achieve what Hotjar now provides as an all-in-one tool. I do not start working on any project before Hotjar is not installed. Used properly (see above) it’s invaluable.